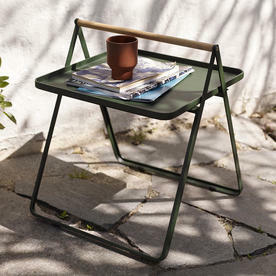 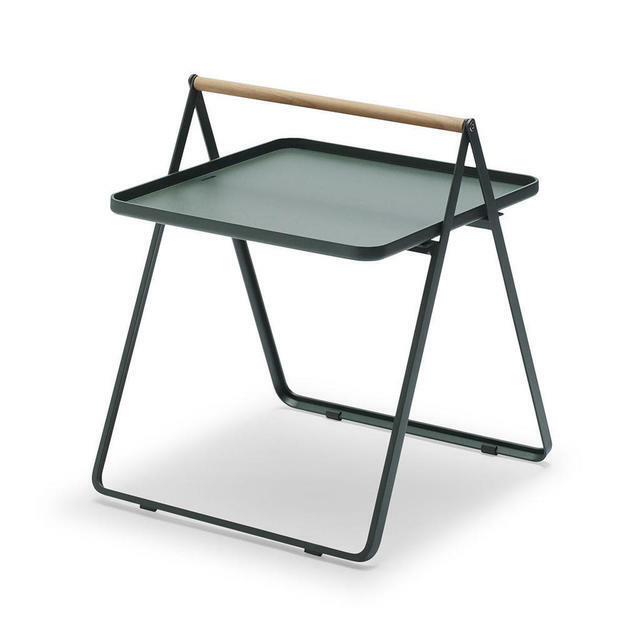 Handy small side table perfect for drinks on the terrace or patio. 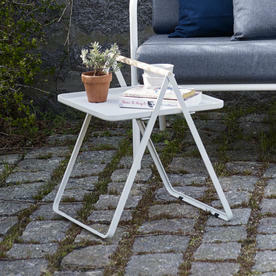 This small side table has been designed by Maximilian Schmahl exclusively for Skagerak. The handy table has clean, simple lines and a touch of elegant detailing with the natural teak handle. 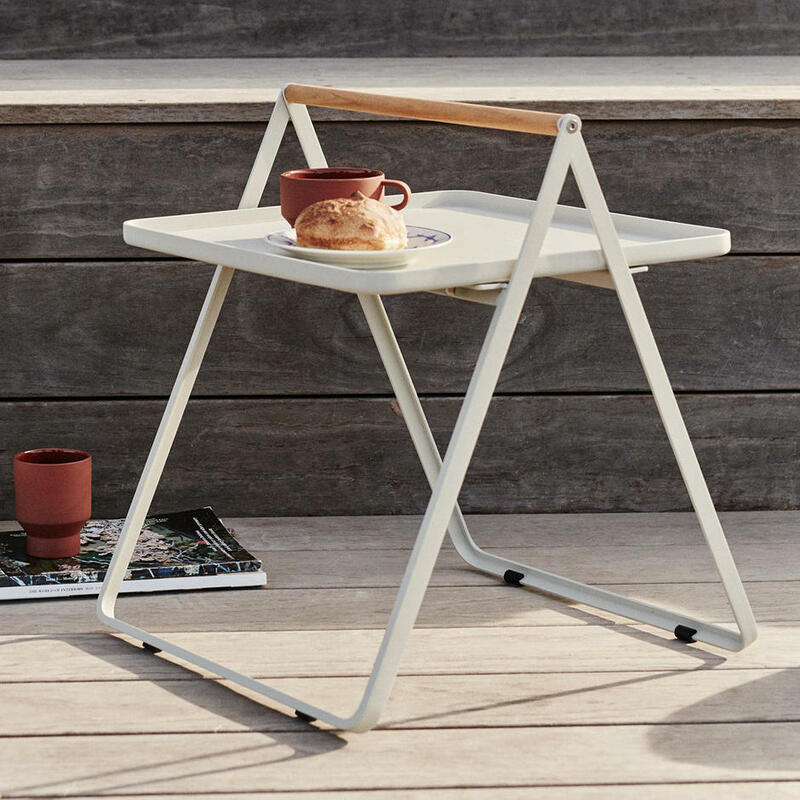 Use the table as a large carry tray, holding the carry handle and allowing you to freely move the table around - from inside to outside. The tray top lifts off, so it can be used a tray in its own right. 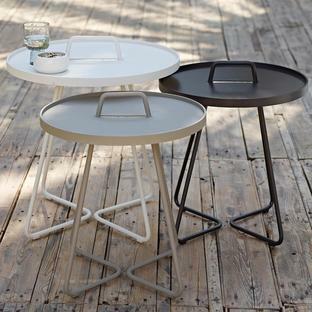 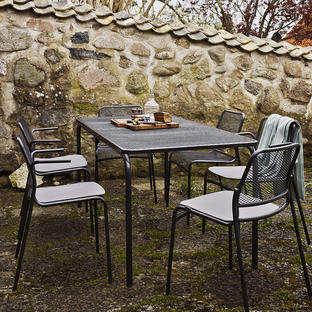 Made from from powder-coated aluminium with teak trim. 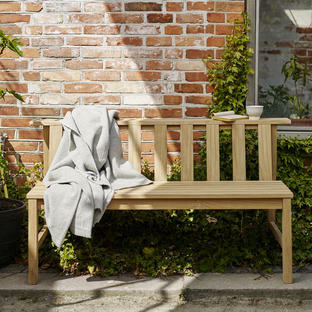 The teak will gently weather to a silver grey patina if left outside. 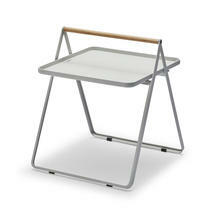 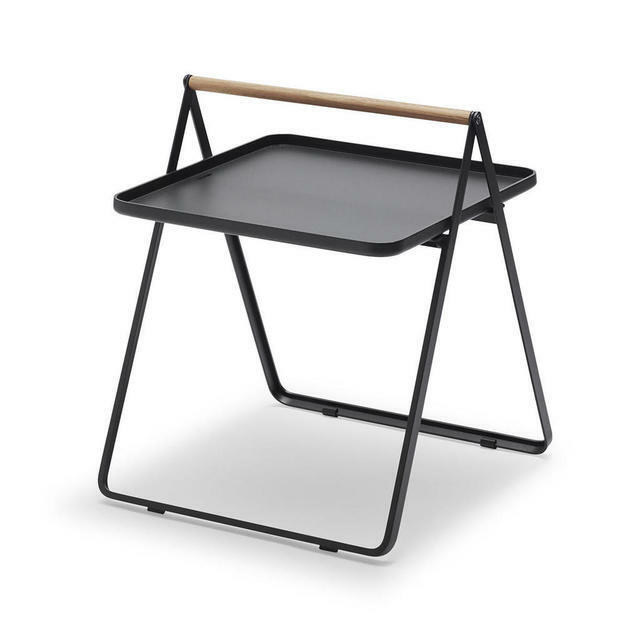 The top lifts off and the table folds down for easy storage.